If untreated and discharged into the natural environment, mine drainage water can create major pollution. Therefore treatment appropriate to each case has to be implemented. Depending on site dimensions, effluent volumes encountered can exceed 100,000 m3 per day. Most of the time, this output takes the form of acid effluents that have to be neutralised and from which metals have to be removed. The complexity of this task is dependent upon the metals present, their concentration, and the applicable discharge standards. 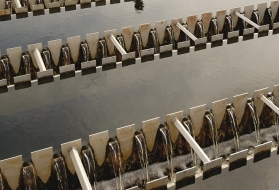 In most cases, neutralisation using a Densadeg will ensure that these effluents are properly processed and that the treated water will have the necessary quality to be discharged. iron contents of approximately 1 to 2 g · L–1 may occasionally occur and, in this case, high indigenous SO4 and/or CO2 concentrations will be used advantageously to allow high sedimentation rates by ballasting iron hydroxide floc. 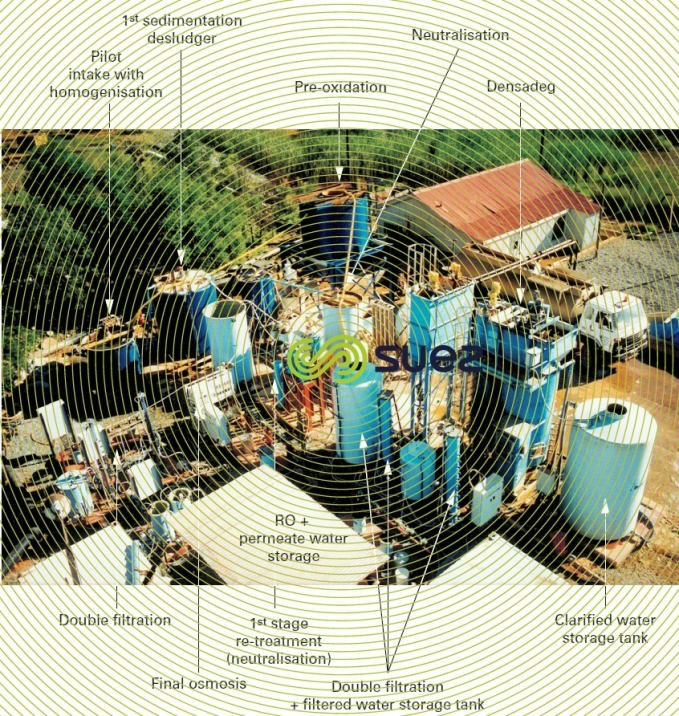 In the latter applications, Densadeg clarifier must be designed on the basis of solids loading, not treatment velocity, given the large amounts of sludge created. Another method consists in carrying out a thorough treatment of the effluent so that it can be recycled as agricultural irrigation water or even as drinking water in arid areas. In such cases, compliance with WHO and local regulatory standards will be required. If necessary, consideration may be given to a stage involving the re-treatment of reverse osmosis brine so that only a minimum amount of water is lost. In such cases, we can expect to recover 90 to 95% of water entering into the plant. N.B. in all the above cases, the amounts of sludge to be managed will always be substantial. Suspended solids concentrations can reach 300 g · L–1 with gypsum precipitation but will not exceed 80 g · L–1 in the presence of metals alone. Dewatering using a filter press will be effective and filtrate recycling will allow water to be recovered for recycling.